Princeton, May 30, 2018 – SingleThread farm restaurant in Sonoma County, California, has been named this year’s Miele One To Watch by The World’s 50 Best Restaurants. 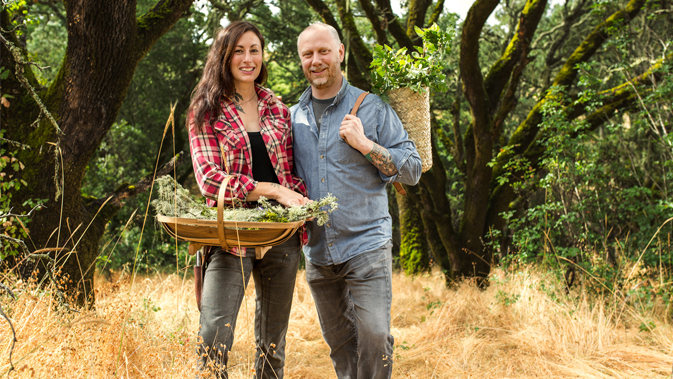 Founded in December 2016, SingleThread is a partnership between husband-and-wife team Kyle and Katina Connaughton, comprising a restaurant, inn and farm built on the ethos of Japanese omotenashi — the spirit of selfless hospitality — bringing an infusion of Eastern philosophy and culture to the farm-to-table concept. SingleThread’s founders will be presented with this highly coveted award at The World’s 50 Best Restaurants awards in Bilbao on 19 June. The Miele One To Watch Award celebrates emerging global talent and recognises a restaurant that is outside the main 50 Best list, with strong potential to rise up the ranking in the near future. Priding themselves on the designers, artisans, craftsmen and women who help make up the SingleThread experience, the Connaughtons serve 11 courses of sustainably produced dishes, over 70% of which are produced at their farm, located on five acres between the Russian River and the historic San Lorenzo Ranch. Seasonal vegetables, fruit, herbs, flowers, honey, eggs, and olive oil are provided directly to the restaurant kitchen each day from the farm’s greenhouse, loamy fields, chicken coops, heirloom fruit orchard, olive trees, and bee apiary. The SingleThread philosophy embraces 72 micro-seasons, which sees the restaurant cooking and serving only the ripest foods at specific moments in the year. SingleThread’s elegant 52-seat dining room draws design inspiration from Japan, combining handcrafted screens for optimum intimacy with dark wood panels and overhead linen lanterns. The Nagatani Family of Iga, Japan — who are eighth-generation master potters — produce all of the ‘donabe’ (earthenware pots) in the kitchen and on display at SingleThread, as well as many of its dishware pieces, vases and serving vessels. Additionally, tucked away on the second floor of the restaurant, the SingleThread Inn has five thoughtfully appointed guestrooms. SingleThread joins a stellar line-up of recent One To Watch award winners including Disfrutar in Barcelona (2017), Den in Tokyo (2016), Sepia in Sydney (2015), Saison in San Francisco (2014) and The Test Kitchen in Cape Town (2013). The Miele One To Watch is awarded to a restaurant, not a chef, from the extended 51-100 list of The World’s 50 Best Restaurants. The Miele One To Watch is selected by the 50 Best organisation and is awarded to an establishment that is making an impact on the gastronomic scene and has the potential to rise into The World’s 50 Best Restaurants list in the future.